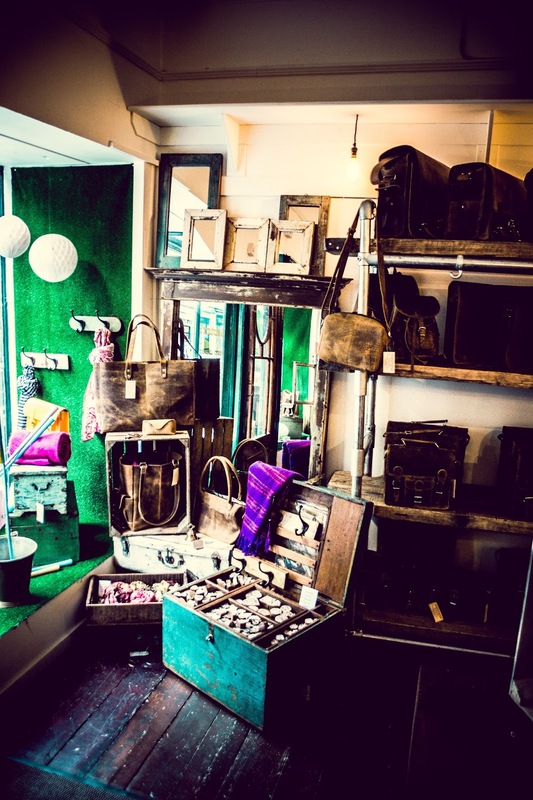 Scaramanga has a cosy and loved vibe, which is reflected in both their leather goods and homewares. 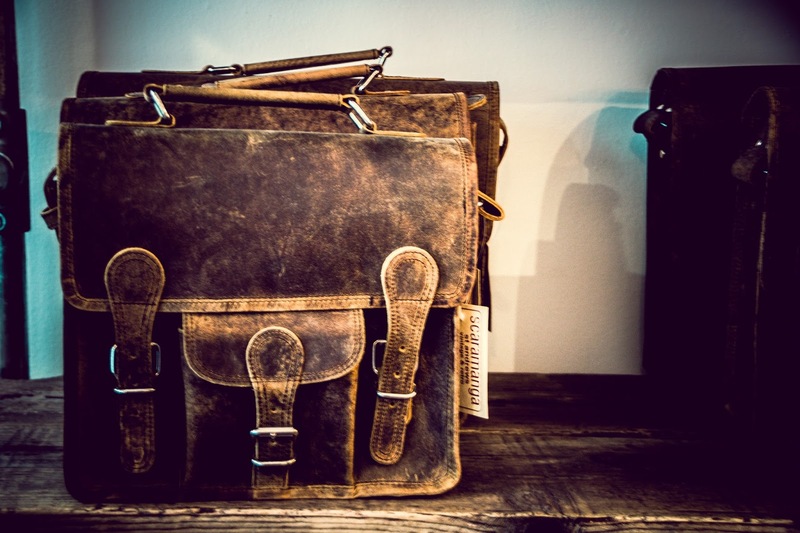 The St Andrews shop is more focussed on leather goods- which makes sense considering St Andrews is a university town, students need satchels after all! 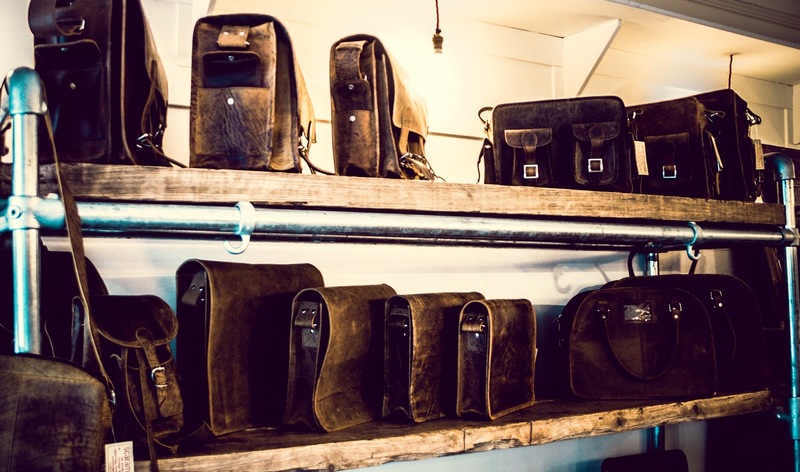 The St Andrews store is a leather goods hipster heaven! 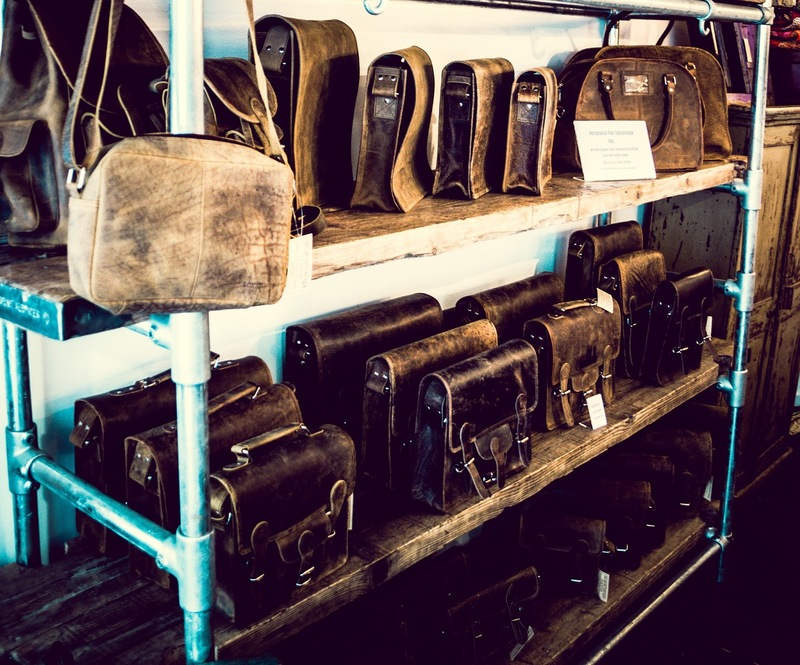 There are satchels and bags galore, with plenty of smaller leather goods to browse through (each bags, cases, etc.). All the items (each slightly different because of the handmade production) are screaming out to be picked up, touched and tried on- make sure you admire yourself in their vintage full length mirror. 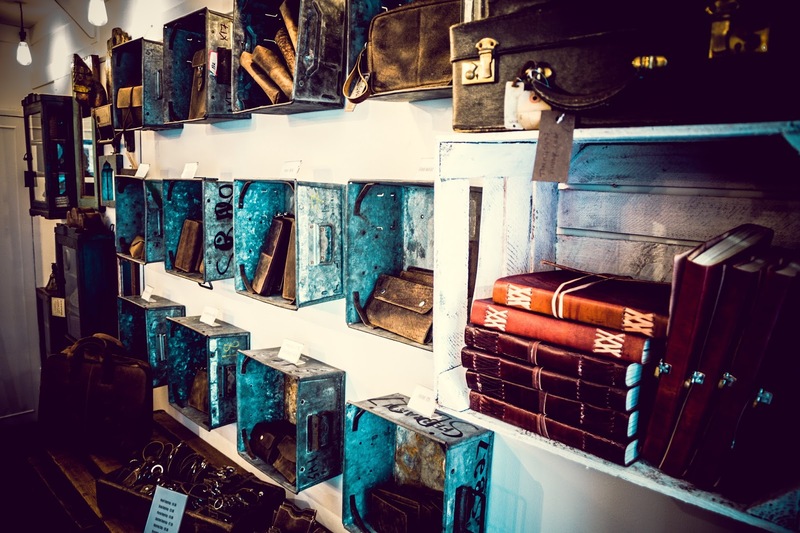 Scaramanga uses their space really well, with one big feature wall with a large shelve and the other one shows their smaller items in industrial style shelves. 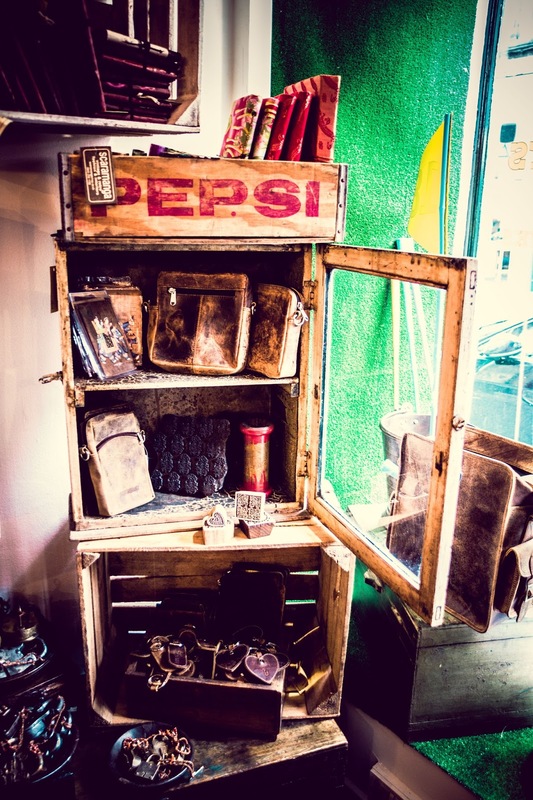 Vintage cases and trunks are dotted around the place with little trinkets for you to dig through! 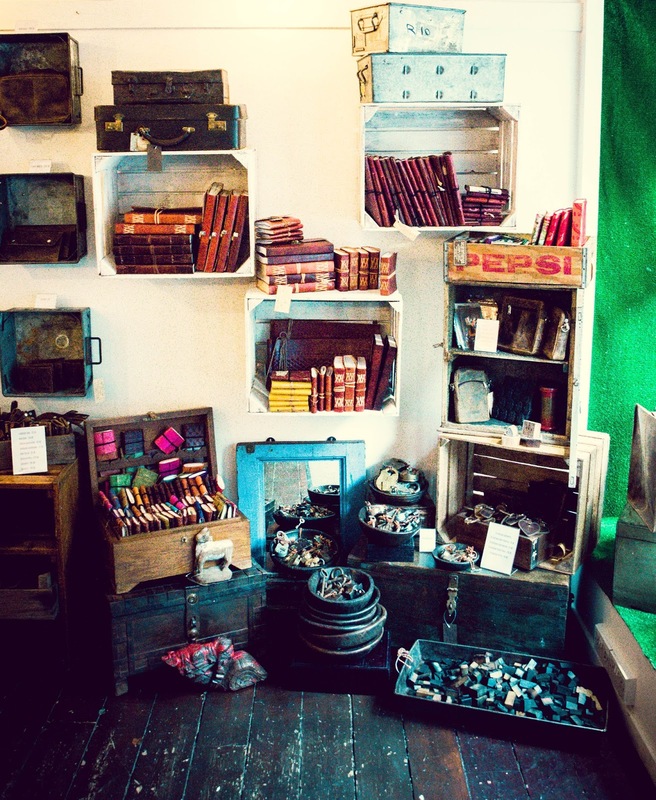 If you are in St Andrews there are loads of independent and quirky shops to walk around (as well as plenty of nice cafes and coffee shops) and explore. If you are in the little Fife town Scaramanga is definitely worth a visit. 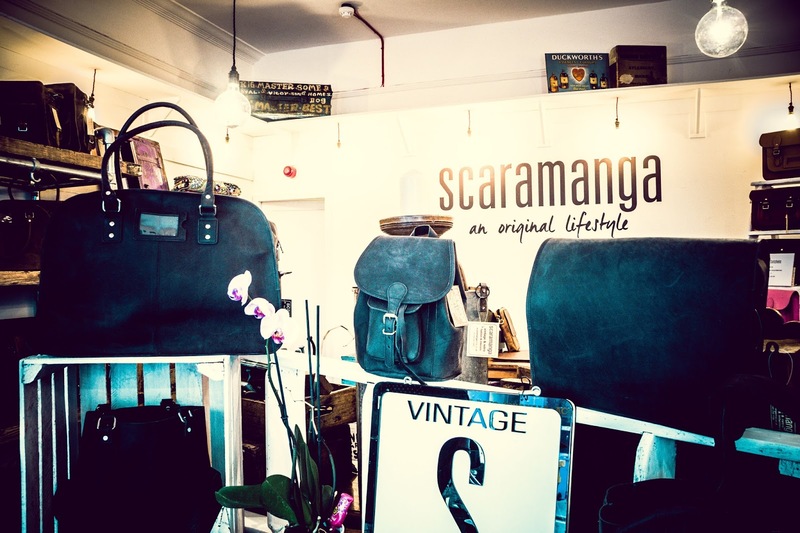 Have a little look in Scaramanga, especially if you are in the market for a leather bag or satchel. There is a size and shape for everyone! I know my leather tote is massive and can fit a laptop and a lever arch file in it- according to the Scaramanga website it will even hold a 17" laptop and other work related stuff. The satchels come in loads of different sizes, shapes an colours! If you do check out the St Andrews store before the 31st of August 2015 then make sure you say "Liquid Grain" to receive a FREE mini leather journal! They're so dinky and cute! If you can't make it to the store then check out their website here.